Footage of a dancing President Medvedev has appeared on YouTube, mustering thousands of views in less than 24 hours. ­The video, which shows Dmitry Medvedev dancing to the sounds of "American Boy", a hit song by Russian female pop band Kombinatsiya and popular in the 1990s, was uploaded on YouTube by user KremlinLivia on April 19. As KremlinLivia’s account was registered on YouTube only on April 19, speculation is rife on the internet that it was specially created to upload the video with the president. One Twitter user wrote to the president that the “dancing video” she found made her day. Dmitry Medvedev tweeted in response that the video was made a year ago during a meeting with his university mates. “Cutting loose at a meeting with the class a year ago. 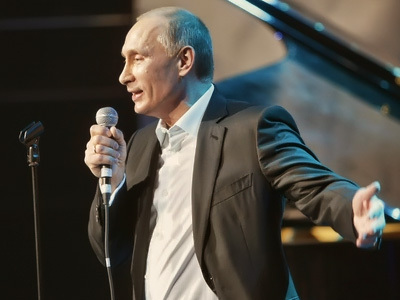 Dance music – even those that match the past,” Medvedev tweeted back. The man in the front, on Medvedev’s left is a Russian showman, TV host Garik Martirosyan, who was invited to the party as an emcee. This is not the first time a dancing-president kind of footage has appeared on the internet. 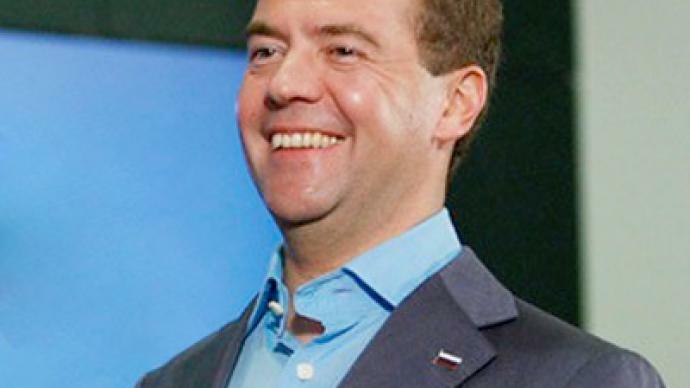 An earlier video showed President Medvedev dancing during his visit to a youth camp at Lake Seliger in the Tver Region, some 400 km from the capital Moscow, in June 2010.